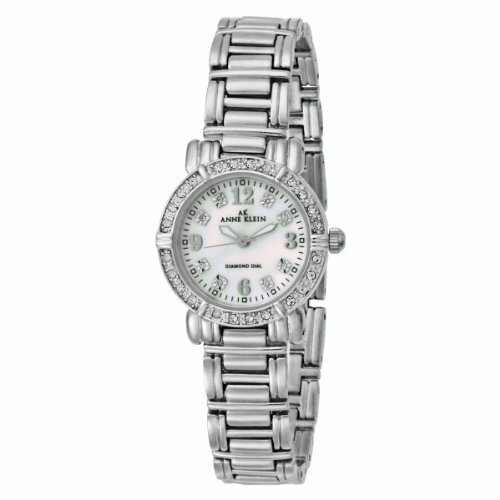 Brighten your day with the subtle sparkle of this beautiful watch by AK Anne Klein. Silvertone mixed metail bracelet and round case. 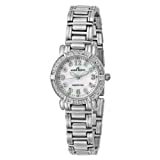 White mother-of-pearl dial with diamond accents at indices and logo. Quartz movement. Limited lifetime warranty.